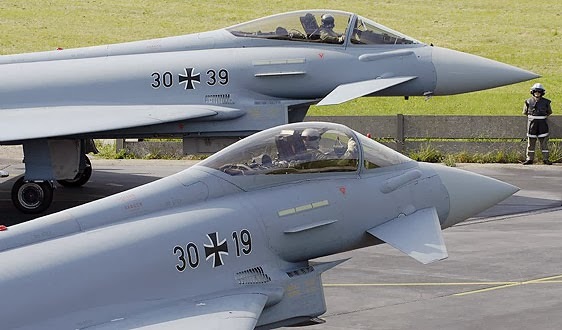 Germany is expected to overhaul its defense procurement policy using external reviews to create greater transparency, experts say, after the defense minister sacked two senior ministry officials last week over mismanagement of numerous procurement programs. Two months after German Defense Minister Ursula von der Leyen’s appointment, she fired the ministry officials, blaming their practices for rising costs, cancellations and delays of programs, including the Eurofighter Typhoon combat jet, Airbus A400M transport plane and Northrop Grumman Euro Hawk UAV. Stéphane Beemelmans, the first deputy defense minister responsible for armaments, was forced to retire, and Detlef Selhausen, director general for equipment, information technology and in-service support at the ministry, was fired owing to negligence in project management procedures in military procurements, according to von der Leyen. Under the new approach, the acquisition of arms and military equipment should be “ability-oriented and efficiently implemented,” von der Leyen wrote. The defense minister has announced a plan to strengthen external control of procurements by employing a team of experts tasked with evaluating all major acquisition programs. The aim of the review is to ensure maximum transparency of procedures for the parliament and the German public, von der Leyen wrote. Another shift expected at the ministry is an increased focus on risk analysis, which the minister denounced as unsatisfactory in its current form. The sacking of the two senior officials was preceded by reports of numerous irregularities in defense projects. These included major arms procurements such as the Eurofighter Typhoon, the A400M and the Euro Hawk unmanned aerial vehicle. Last week, it was revealed that the German ministry made a payment of €55 million (US $75 million) to engine manufacturer MTU to compensate for scaling down the Typhoon order from 180 to 143 aircraft. The payoff was authorized by the senior ministry officials without the permission of von der Leyen, who was not informed of the order change. Moreover, under German law, payments of more than €25 million by the ministries have to be approved by the Bundestag’s budget committee. The professional relationship between von der Leyen and Beemelmans, who was considered a close aide to former Defense Minister Thomas de Maizière, had been strained for several weeks, according to information obtained by der Spiegel, the German weekly news magazine. 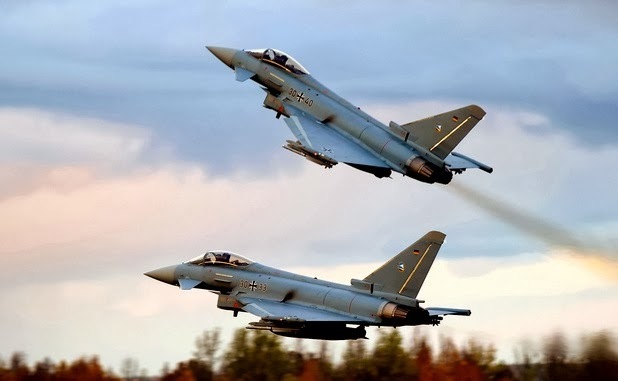 Beemelmans reportedly scrapped the order of a batch of 37 Typhoons on Dec. 17, the day von der Leyen was named Germany’s new defense minister. Industry players and analysts voiced little surprise over the reduced order of Typhoons, manufactured by the Eurofighter consortium, a joint project of Airbus Defence & Space, BAE Systems and Alenia Aermacchi, part of Italian defense group Finmeccanica. Local business daily Handelsblatt reported that de Maizière had decided in 2011 that the order was to be reduced. In May, the German ministry also scrapped plans to order four Euro Hawk high-altitude UAVs. The cancellation of the drone program, which cost more than €500 million euros, drew accusations of public funds mismanagement from the left-wing Social Democratic Party, Green Party and the Left Party. By establishing the new external review procedures, von der Leyen is said to be aiming to reduce the risk of similar costly cancellations in the future. As for the airlifter, in December, the Defense Ministry announced that the German armed forces were likely to wait until mid-2015 to receive its first fully-equipped A400M. Airbus Defence & Space, the manufacturer, said while deliveries were expected to start in November, the first aircraft would not be fitted with full operational capacities. In total, Germany ordered 53 airlifters. As one of the Christian Democratic Union’s leading political figures, von der Leyen increasingly has been seen as a potential successor to Chancellor Angela Merkel. Prior to becoming Germany’s first female defense minister, von der Leyen was minister for labor and social affairs from 2009-13. Notably, her predecessor de Maizière, who also had once been considered an up-and-rising Christian Democratic Union politician, was dismissed as a result of the Euro Hawk procurement scandal. Besides overhauling arms procurement procedures, von der Leyen aims to push for Germany’s increased involvement in global security. This year, the minister said in an interview she believed her country should take a more active role around the world, sending its troops on foreign missions.